Visitors to Kauai may soon find amended rules at Haena State Park on Kauai, if a posted Environmental Impact Statement draft is accepted. The state is considering cutting the number of daily visitors at the park by roughly half—and may also charge separate fees to enter and park vehicles. The idea is part of an effort to reduce impacts on natural resources, according to the Honolulu Star-Advertiser. The park is one of the busiest and is 65.7 acres wide. It contains Kee BEach, the Na Pali Coast State Wildnerness Park, and the trailhead of the Kalalau Trail. It also includes significant cultural spots, such as Ka Ulul a Paoa Heiau and Ke Ahu a Laka hula site. The Star-Advertiser reports that the draft proposes creation of a management approach to Haena that’s similar to Hanauma Bay on Oahu. For example, the draft recommends an educational and cultural center where visitors attend an education session before entering the park. The session would focus on the park’s sensitive natural and cultural resources. In addition, park users would be informed about ocean safety, rockfall hazards, and weather conditions. The state is considering limiting the number of visitors to Haena State Park and charging parking and entrance fees. Under the new rules, the state would also limit access to 900 visitors a day; although, the limit may change in the future. The limit would include day hikers on the Kalalau Trail, but not other groups, such as campers, hunters, school groups, hula halau, and members of Hui Maka’ainana o Makana. Currently, there are no limitations on the number of visitors to the park, and, during the summer, up to 2,000 people visit each day. In the winter, those numbers fall to 1,000 to 2,000. 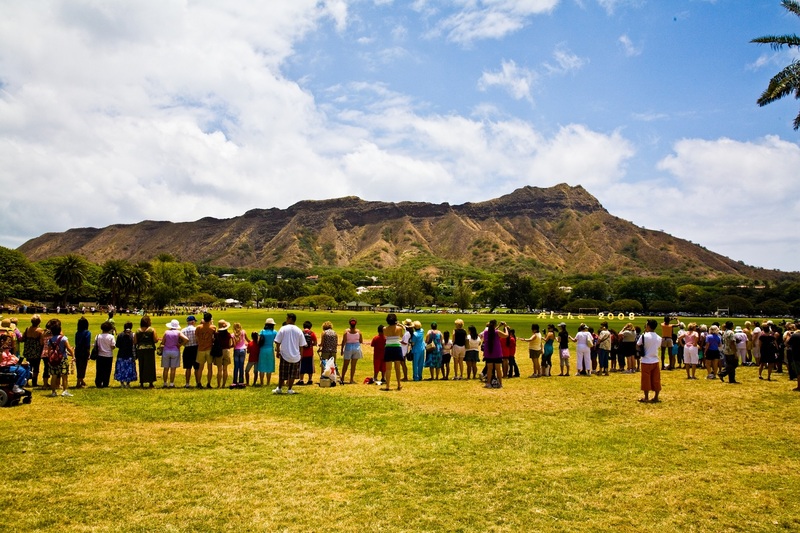 According to the Star-Advertiser, many members of the community advisory committee and residents have commented in the past that they feel there are too many people at the park and that a limit is necessary to reduce impacts to the natural, cultural, and scenic resources. They have also expressed their feelings that putting a cap on the number of daily visitors would improve the overall experience. Currently, more than 750 vehicles enter and exit the parking lot daily. Shuttle service is recommended to provide transportation service to the park and to help reduce traffic congestion on Kauai’s North Shore. The paper reports that a portion of the proposed fees for parking and entry would go toward ongoing park maintenance and improvements. Fees for Hawaii residents would be waived. Only two state parks currently have entry fees, but a few other state parks have fees for parking and higher fees for commercial vehicles. Hanauma Bay and Diamond Head (pictured here) are the only two state parks in Hawaii that currently charge an entrance fee. The deadline for public comments on the draf is Sept. 8. So, if you’re planning a trip to Kauai, you may want to take advantage of Haena State Park while entry and parking is free. If the new proposed changes go into effect, you could be turned away if the park is already filled to capacity.